I have about as much in common with Galileo as I do with a world-class triathlete, but I’m kind of enjoying this heresy gig. Because I’m convinced that the accuracy of a belief or claim doesn’t increase in tandem with the number of people saying it. Back to Galileo…today’s subject of heresy refutation is web traffic and its role as the center of the content marketing universe. Of course traffic is important. But it’s not the center of the solar system, much less the universe. A lot of the people who focus on growing traffic are making their money from ad revenue. And there’s nothing wrong with that – it’s a completely valid business model. And if your main income stream is from ads, you have to worry about eyeballs, not conversions. Let’s look at AAA as an example. They have some really valuable content on their site. If I were writing a blog post about travel or safety, I’d probably link to them. But I’m not going to become a member because I don’t need to – my husband can handle almost any car issue. And then there’s Mayo Clinic. They’re my go-to source for medical information. I trust them. And I reference them a lot in my writing. But it would take some pretty exceptional circumstances to make me travel that far. So, while I visit their site about once a week, and I almost always link to them when I’m writing about health topics, I’m unlikely to convert. One more: If I’m writing about construction and commercial roofing, I go to PHP Systems/Design. Every single time. But I seriously doubt I’ll ever be in the market for rooftop piping or supports. Which brings me to my point. You can get a lot of traffic from people who rely heavily on your content — and who value it tremendously — but have absolutely no intention of buying whatever it is that you sell. Ever. And if you’re generating ad revenue, that’s fine. But if you’re counting on people to buy your stuff, all that traffic isn’t doing you a darn bit of good – except getting your content in front of other people who probably won’t convert. Think Predator drone – they pretty much rule when it comes to targeting. Sure, you can treat your content as a popularity contest and try to appeal to everybody, but that almost always lowers your ROI. Redbull, for example, is frequently held up as the gold standard of content marketing. And for good reason – their content is awesome. But it appeals equally to people who would and wouldn’t be in their market. And, while those extra eyeballs aren’t bad, they don’t add much quantifiable value, either. Narrowing your focus may reduce your traffic. But that narrower focus will likely boost your conversion rate. Your traffic could boost you to the top of Google’s SERP, but, if none of those people are in the market for what you sell, so what? A lot of businesses waste social capital asking for shares and likes. With the exception of businesses that depend on ad revenue and eyeballs, that doesn’t do anything for you. Use that opportunity instead to ask for conversions. Whether it’s a popup asking for an email address, a live chat feature that gives visitors the opportunity to engage with you directly, or a scheduling app that sets up a sales call, if you’re going to ask for something, ask for something that matters. Conversion doesn’t just happen. A high conversion rate is the result of lots of hard work. If you’re going primarily for ad revenue, you can skip this one. It doesn’t apply to you. For everyone else, however, I’m not going to claim that likes and shares are worthless. They get your content in front of more eyeballs, and some of those additional eyeballs may convert. But measuring shares and likes does just that: It measures shares and likes. On the other hand, shares, likes, and comments signal engagement — which is a required predecessor to conversion. But measuring them doesn’t tell you one darn thing about how many of those shares, likes, and comments converted and how much it cost you to convert them. Social signals aren’t worthless. But they’re not automatically valuable, either. You have to figure out a bottom-line way to connect them to your business goals. Distribute to the right places. Conventional wisdom says to distribute your content to places with a lot of traffic: Medium, LinkedIn, etc. And, simply because more eyeballs = more opportunities, that’s not necessarily a bad thing. It just isn’t enough. When it comes to distribution, the important question is, “Where do people who might buy from you hang out…and why?” An industry-specific group on LinkedIn will almost certainly have less traffic than Medium, but, if you’ve targeted correctly, a much higher percentage of those people will be interested in your offer. The same goes for trade publications and industry/professional organizations. Don’t ignore niche platforms just because they don’t have as much traffic as the mainstream venues. The percentage of people who care vs. people who will never buy what you sell can more than make up for the difference in traffic. Don’t neglect what happens next. Conversion is a beginning, not an ending. The best conversion techniques in the world won’t have a long-term impact if you neglect lead nurturing, onboarding, customer service and success, etc. In most cases, the ROI of repeat customers is higher than the ROI for new customers, so make sure the steak lives up to the sizzle. 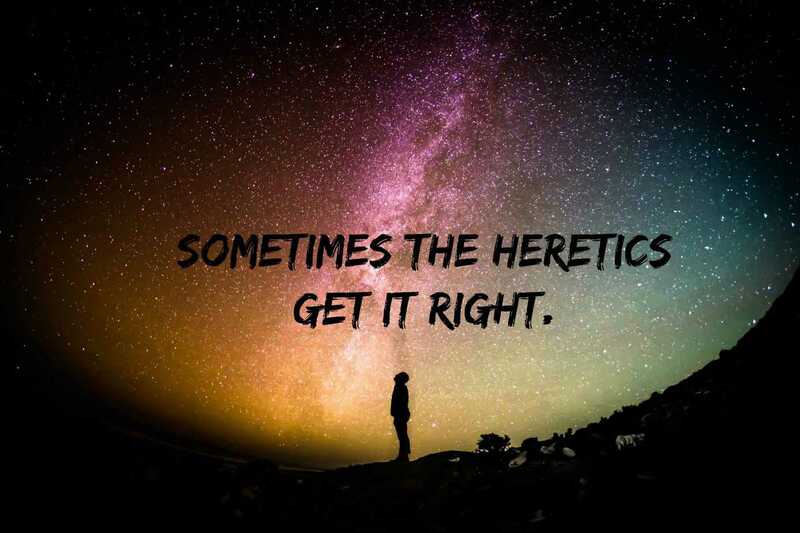 Heretic that I am, I’m not going to claim that my solutions are right for everybody. It depends on you, your business, and your mission. Mayo Clinic, for example, provides a valuable service to the community at large — and, as the mom of three kids, I’d probably cry if they stopped. Providing content that’s relevant to the general population isn’t a bad thing at all. It just doesn’t necessarily transfer that value to your bottom line. So if you’re going to measure traffic, make sure you tie it to results.